The official novelization of the highly anticipated revamp of the classic horror film Halloween. In 1978, Laurie Strode survived an encounter with Michael Myers, a masked figure who killed her friends and terrorized the town of Haddonfield, Illinois, on Halloween night. Myers was later gunned down, apprehended, and committed to Smith’s Grove State Hospital. For forty years, memories of that nightmarish ordeal have haunted Laurie and now Myers is back once again on Halloween, having escaped a routine transfer, leaving a trail of bodies in his wake. This time, Laurie is prepared with years of survival training to protect herself, her daughter Karen and her granddaughter Allyson, a teenager separated from her family and enjoying Halloween festivities. 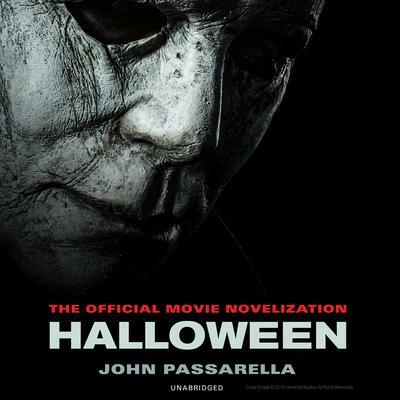 The official novelization of the highly anticipated revamp of the classic horror film Halloween. In 1978, Laurie Strode survived an encounter with Michael Myers, a masked figure who killed her friends and terrorized the town of Haddonfield, Illinois, on Halloween night. Myers was later gunned down, apprehended, and committed to Smith’s Grove State Hospital. John Passarella is the Bram Stoker Award–winning author of the Wendy Ward Novels—Wither, Wither’s Rain, Wither’s Legacy—as well as novels for the Buffy the Vampire Slayer and Angel series. He owns AuthorPromo.com, a web design company with New York Times bestselling clients, and resides in New Jersey.